NATO kept the Warsaw Pact behind the Berlin Wall until its dissolution – but what if it hadn’t? 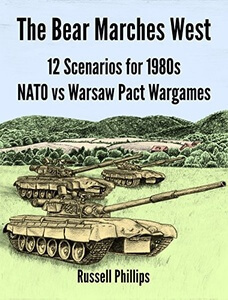 The Bear Marches West contains 12 gaming scenarios set during a fictional Warsaw Pact invasion of West Germany in the 1980s. All the scenarios are based on battles depicted in well-known novels, and are designed to be used with whatever rules the players wish. 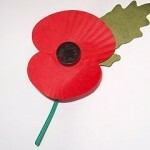 Each scenario includes the battle’s context, weather conditions, deployments, force lists and a colour map. The scenarios range in scale from small skirmishes, with a company on each side, to large engagements, with Soviet regiments bearing down on smaller but better-equipped NATO units.